Did you do something special for the extra day in February this year? We did. My hubby actually had a birthday this year. hee hee Now we're into March and it's time for St. Patrick's Day, the first day of spring, and Easter. You won't have trouble finding an image for any of those things among the offerings at Mo's. 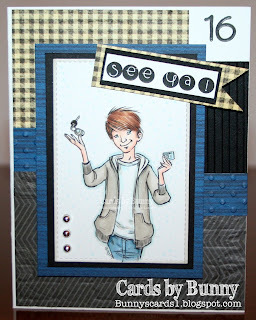 Our new Anything Goes challenge fits the bill for whatever your card making needs might be. All we ask is that you follow a couple of easy rules. 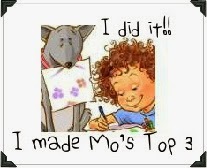 We encourage you to share all the cards you make with Mo images on the Mo's Bella and Bronte Clubhouse FB page. We love seeing how the images have inspired you and who knows....your creation may inspire someone else. A BIG thanks to everyone who joined in last months challenge. So let's find out who our Top Picks and Winner were from the last challenge. Here's your "Mo's Top 3" banner. Please display it on your blog proudly!! at mo@mosdigitalpencil.com to claim your new digi prize!! Anything Goes with a Mo image" challenge. Have we stirred up your imagination? I hope so. We sure would love it if you'd take a few minutes to visit each of the DT ladies' blogs (just click on their names) to see these and more of their gorgeous creations! Oh...and please don't forget to leave 'em each a little "love" while you're there! So here we go! Just choose at least one of Mo's images and create your own little masterpiece (card, 3-D project, etc.) using our "Anything Goes w/Mo Image" theme. Up for grabs: $5.00 vouchers for Mo's online store!! You will have until 8 a.m. Eastern time (New York time) on Tuesday, April 5th, 2016 to link up your project below! OMG! I'm so excited. I love Mo's images. I'm going shopping. Thank you so much. I fell in love with this stamp and I couldn't wait to make it up! Thank you Mo Manning for all the lovely images over the years...I would love to have them all! LOL! Thank you to the talented DT for all the inspiration and for the fun challenge!